Consists of original compositions written at an early elementary/elementary level. 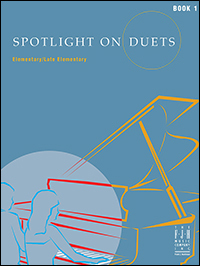 This book offers students appropriate level duets that will give them the exposure and necessary tools for ensemble playing. 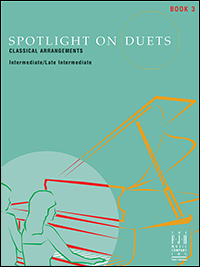 These beginning duet lessons teach and reinforce keen listening skills that will prepare them for the intermediate level. Consists of intermediate/late intermediate-level original compositions by Kevin Olson, Melody Bober, Wynn-Anne Rossi and others. 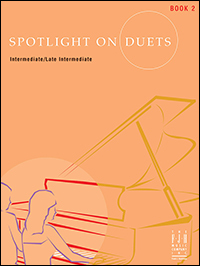 These duets will further the students' exposure and experience of duet playing, reinforcing the students control of rhythm, tempo and dynamics. Also at the intermediate / late intermediate level, this book consists of arrangements of classical and patriotic pieces such as the Canon in D and Stars and Stripes Forever.